Division of property and spousal can be complicated, emotional issues. Mr. Davis makes sure his clients’ interests are protected and that an accurate financial picture is represented to the court so a practical and rational division of property and appropriate spousal support order can be made. In Oregon the courts have the authority to divide all of the parties’ property, regardless of who purchased it or when. 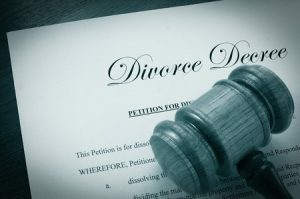 The length of a marriage will impact your property division. In general, the longer parties are married the more likely it is that the court will divide their property equally. The court will, however, apply different standards in determining how to divide those assets acquired prior to the marriage or acquired by gift or inheritance. An experience family law attorney can help you protect assets you owned prior to the marriage or that you received through a gift or inheritance. The court also has the authority to award spousal support. As one might expect, the length of the marriage will impact the length of any eventual spousal support award. Spousal support, however, is not appropriate in every case and frequently a shorter-term spousal support award might be appropriate even in a long-term marriage. An experienced attorney can help ensure that the court weighs all the relevant factors when determining spousal support.